Morigad is a powerful multipurpose broad spectrum Lysol based disinfectant (active against bacteria, fungi, yeasts, protozoa, some viruses, and other microbes). 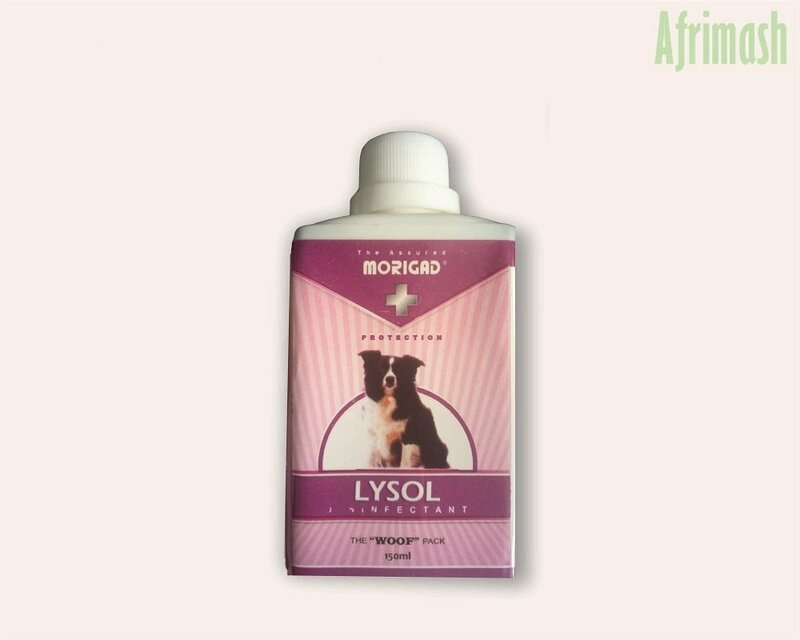 Morigad is recommended for disinfection and cleaning of animal houses, equipment, and farm premises as it is particularly active against a variety of contaminants. General veterinary application For conditions involving soilage, dog waste and a high level of contamination. Dilute 1 part with 49 parts of water. General cleaning Floors, kernel walls, pens, stables Dilute 1 part with 99 parts of water. Avoid contact with skin, eyes, and clothes. Wash off any splashes immediately with water. Keep containers tightly closed and away from children. Avoid mixing with other chemicals.